For me, this was a life-changing book. It starts with an encounter in the British Museum in front of the sculptures from the Parthenon. E.R. Dodds bumps into a young man who is unimpressed—he can't bear the ancient Greeks, he explains, because they were all so "terribly rational." Dodds wonders: "Were they really?" And to counter the young man's complaint, he sets out to explore the wild side of Greek culture and religion: shamans, prophets and the decidedly irrational cult of Dionysus. 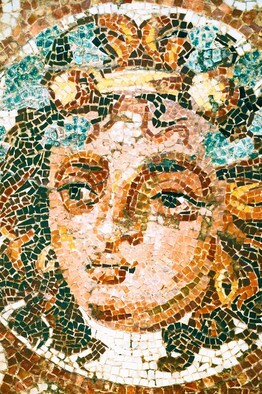 First published 60 decades ago, "The Greeks and the Irrational" is still one of the best accounts there is of ancient Greek religion—and it has convinced generations of readers, like me, that the Greeks were not simply a bunch of calm, staid and possibly slightly dull intellectuals. The religious world of the Roman Empire, with its melting pot of cults, from Cybele (an import from the East that came complete with a retinue of self-castrated priests) to Christianity, is very distant. What did it feel like to offer sacrifice, to watch the wild dances or to join in religious ecstasy? After a lifetime of work on the politics and economy of the Roman world, Keith Hopkins in "A World Full of Gods" shares his puzzlement at the sheer strangeness of ancient religions. The book is written in an intentionally subversive style, with the first chapter following a pair of modern time-travelers to ancient Pompeii as they try (not very successfully) to make some sense of the religious world they find there. The next chapter features a group of filmmakers trying to recapture religious debates between pagans, Jews and early Christians. The whole book is interspersed with spoof letters from imaginary colleagues objecting to Hopkins's approach. Not a book for those who like their history "straight"; but a brilliant postmodern experiment. The early-Christian "Jesus cult" was very different from the organized Christianity of our own age, as Elaine Pagels showed in this classic study of the so-called "heretical" traditions of Christianity in the first few centuries after Jesus' death—that is to say, all those diverse traditions that the church establishment later took care to brand as wrong. Some of the most vivid evidence for these alternative Christianities comes from the Nag Hammadi library, an extraordinary cache of religious texts written in Coptic in the third or fourth centuries and unearthed near Luxor, Egypt, in 1945. Placed center-stage in Pagels's account, they offer an unsettling version of Christianity—one in which Jesus is the lover of Mary Magdalene and ideas such as the Virgin Birth and the Resurrection are treated as naïve fantasies. How can we conjure the rich and varied thinking in ancient religions when so little of the views of the ordinary believer—as distinct from the philosophers and poets—has survived? Modern scholars have turned for inspiration to the writing of later periods, where the evidence is much richer. One particularly influential (and engaging) account is Carlo Ginzburg's "The Cheese and the Worms," which draws on an extraordinary 16th-century deposit of Inquisition papers to reveal the thought world of an eccentric miller from the Italian town of Friuli. This man had imagined a whole story of the origin of the world as if it were made in a process of putrefaction, like cheese from rotting milk; he was burned at the stake for his ideas. How many imaginative, iconoclastic millers were there in the ancient world . . . now entirely lost to us? Greeks and Romans could laugh as much as we do at the excesses and lies of religious tricksters. One of the funniest ancient satires is by Lucian of Samosata, a second-century essayist who in one clever piece of writing sends up a Greek mystic known as Alexander of Abonoteichus. "I feel ashamed for both of us, you and me," Lucian writes. "You for wanting an utter scoundrel to be commemorated in memory and writing, and me for exerting myself to record the activities of a man who doesn't deserve to have cultivated people read about him, but to have some huge and crowded amphitheater watch him being torn apart by apes and foxes." As Lucian goes on to relate, the fraudster set himself up in Asia Minor as an oracle—issuing auguries through a hand puppet—and apparently took in everyone from the emperor on down. You can find a translation of "Alexander the False Prophet" in the Loeb Classical Library's edition of the complete works of Lucian or in C.D.N. Costa's "Lucian: Selected Dialogues." It's as funny a skewering of religious gullibility as you could hope for.